If a home run ball leaves an empty ballpark, does it make a noise? 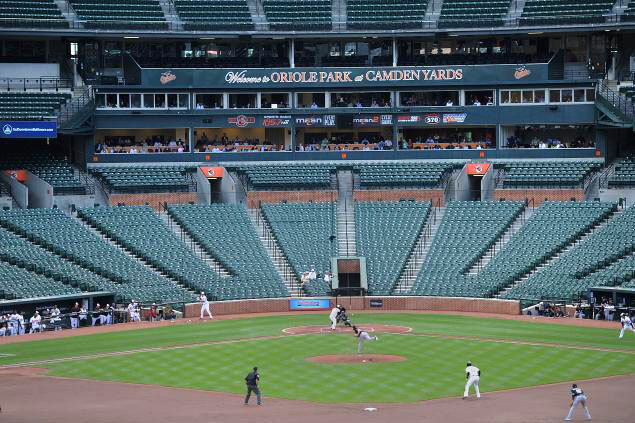 As I was watching the White Sox vs the Orioles baseball game being played in an empty Oriole Park at Camden Yards, I kept thinking, how weird must that be? 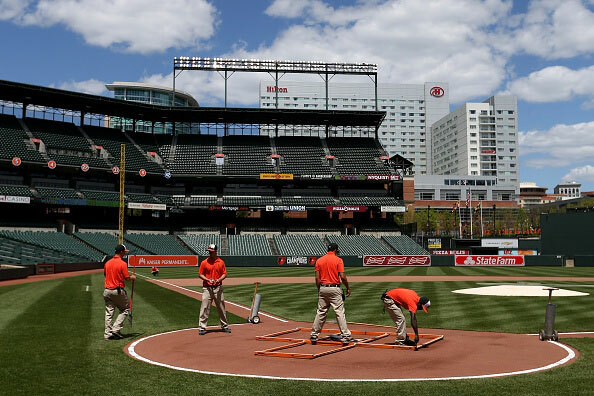 As a former Head Groundskeeper for the Orioles, I would have loved to work this game just to hear the purest sounds of the game of baseball. How odd for the players not to hear the roar of the crowd. The only thing that would make this game a more neutral game would be to play it in a neutral city. Only the players, the press, less than a handful of scouts and the ground crew witnessed this historic event in person. No home field advantage from a crowd. Baseball historians claim this has never happened before in the history of Major League Baseball. For the purist, you could hear the h ome plate umpire bellow out the balls and strikes calls. When a fielder called for the fly ball, you could hear it. And when a solid hit rings off the bat at the plate, the sound of the crack of the bat truly echoed loudly throughout the park. I wouldn’t be surprised if you could hear the players heckling each other when up to bat. For the players, they miss the cheers, the boos and the heckling. There is nothing like the “sounds of a ballpark” during a game. The roar of the crowd on big plays. The sounds of the vendors hawking their beer, soda and hot dogs to the hungry masses. And the blaring of the ballpark sound system to entertain and spark the crowd. All these sounds combined provide the energy that stirs emotion in a sports fan and provides a mental stamp in the brain associating memories of the ballpark with nostalgic, wholehearted, American fun. 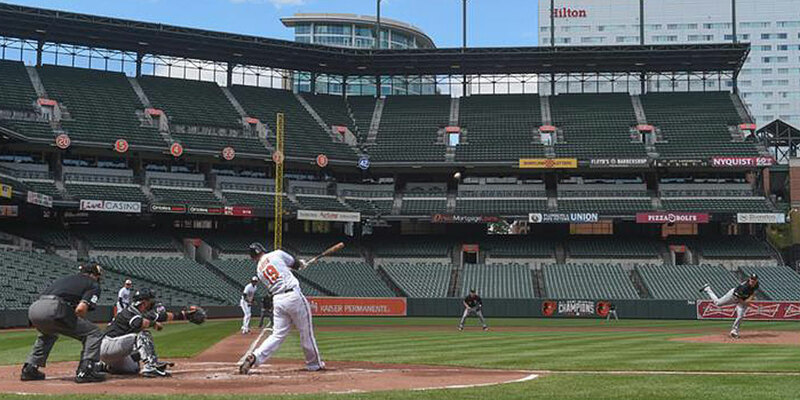 Few people get to experience the sounds of an empty ballpark. The grounds crew are some of that few. It can be a lonely emptiness. It’s a time normally reserved for managing and manicuring the field and the rest of the facility. Those who work in this type of a setting know that a ballpark or stadium is meant to be full of fans during an event. People go to sporting events to experience the shared joys and disappointments of the crowd.Fans have a chance to live through and experience the emotional highs and lows, together with the other faithful fans, the other lovers of the beautiful game. And this shared experience is what makes baseball so special – it’s what makes baseball, forever, America’s game.